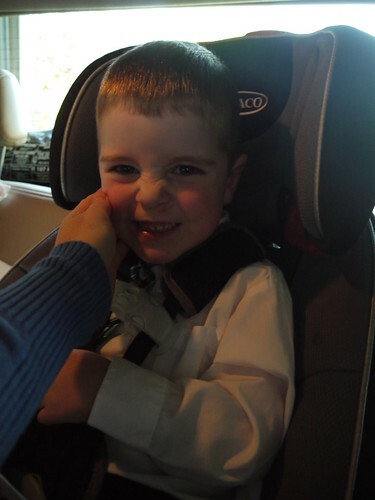 Two sweet boys paid their first tithes today and, man, it was awesome. Brother’s been wanting to pay it for weeks, but he’s been sick. 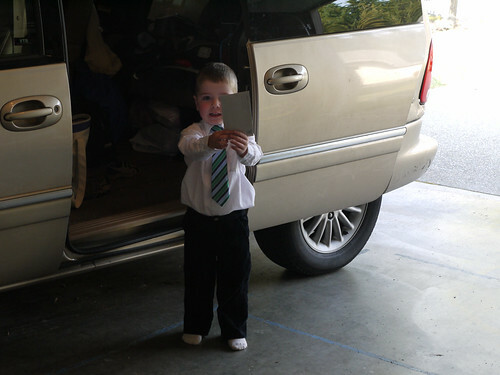 Now that the day finally came, he wanted to fill it out with Daddy and then he held onto his envelope and slip almost the whole time until he finally gave it to the Bishop after Sacrament Meeting. He had a huge smile on his face and excitedly told everyone he met, “I’m paying a whole DOLLAR for tithing! 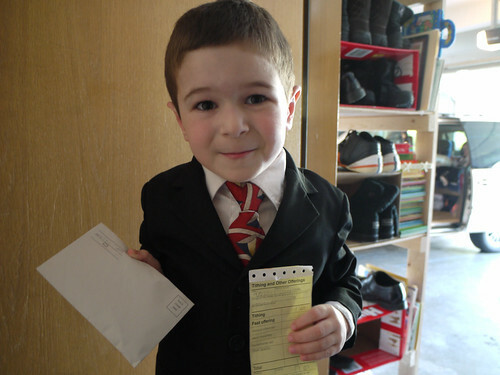 !” as he showed them his envelope and yellow slip. People just lit up and smiled right back at him. It was just a treat- totally made our day at church! Boots sat down to fill out his slip with Daddy, too, and he insisted on paying ALL of the money in his money jar to tithing- even his spending money and college/mission savings. What a sweetheart, I thought my heart was going burst. He had his serious look on as he bounce-walked into church with his envelope and anytime someone mentioned his tithing. After he gave it to the Bishop , he pumped the Bishop’s hand in a fierce handshake and then walked off to nursery (still wearing his serious face). The Bishop was so great and I thought what an honor it must be to accept a child’s first tithing envelope ever. 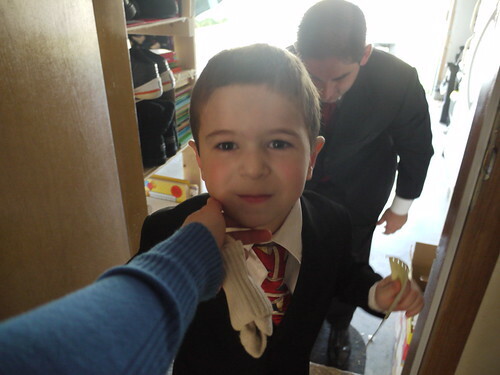 Brother did get a little confused and thought he was giving it to President Monson, but after Daddy explained it, he was okay again. Great job, boys! You two are such good people and I loved being able to watch you today.